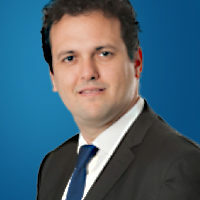 Jose Antonio is the Chief Investment Officer at Caixa Capital Risc. He specializes in investment in drug development and medical devices. He currently serves on the Board of Directors at Medlumics, Stat Diagnostica, Laboratoris Sanifit, Genmedica and nLife Therapeutics. He is responsible for the analysis, negotiation and structuring of processes in life science companies. Jose A. has more than 10 years of experience in the analysis of investment opportunities and specializes in the creation and early health sector companies. His experience began in the Department of Business Development at Genzyme Corporation, a company specializing in the development and sale of drugs for orphan diseases. He later joined the Technology Portfolio team at Genoma España, a public sector foundation that promotes technology development, knowledge transfer and innovation in the biotechnology sector. Jose Antonio holds a degree in Biology (Genetics) and a Masters in Corporate Finance from the U. Complutense, Madrid (UCM), MBA and PDD from IESE.